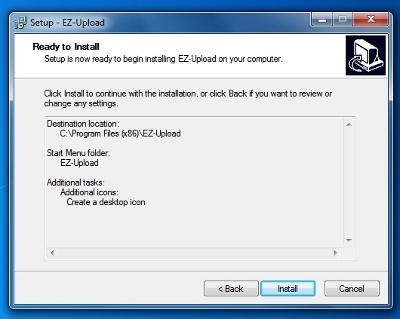 EZ-NetTools has developed a program that makes it easier to transfer files from your personal computer to your Ez-NetTools account, this program is called EZ-Upload. 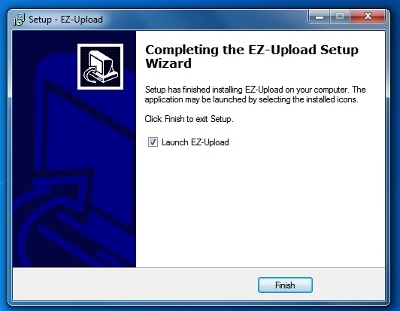 The EZ-Upload allows you to upload multiple files in substanially fewer mouse clicks than our traditional File Upload available in the File Manager. Once you click on the link to the EZ-Upload, a prompt box will come up where it will ask you to Save File, click the Save File button. 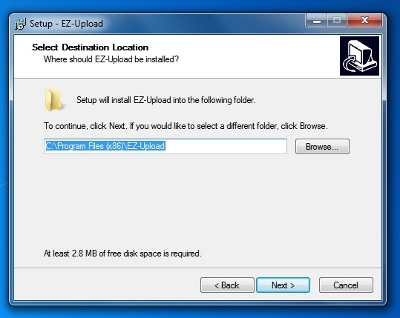 Once it has downloaded locate the file named ezupload_setup.exe on your computer, then double click the file. Choose Run. After you hit he Next button then you will make sure that it is being uploaded to your Programs folder on your computer. 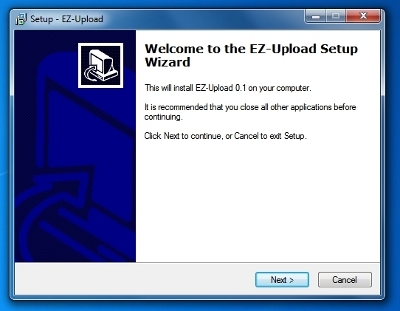 Open the EZ-Upload by clicking on your EZ-Upload Shortcut on your desktop. Put in your User ID and password. On the right side click on the drive where the file is located. Once you have found the file click on it. If you have multiple files to upload at one time within one folder, all you need to do is select the first file hold Shift on your keyboard while you click on the last file with your mouse. This should highlight all of the files between the first file you clicked and the second file. 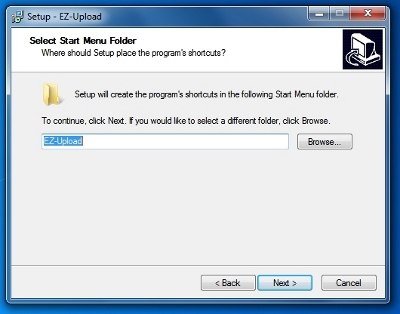 On the right side of the screen select the folder within your EZ-NetTools account that you would like the files to be uploaded to. You should see your file on the left side now.